In this day and age it's hard to imagine a world without numbers. Our lives are centred around commerce and money, and it is the only language that's the same the world over. However, did you know that for a long period of time people could not get their heads around the idea of zero, a figure representing nothing, and that it was even regarded as heretical in some circles? 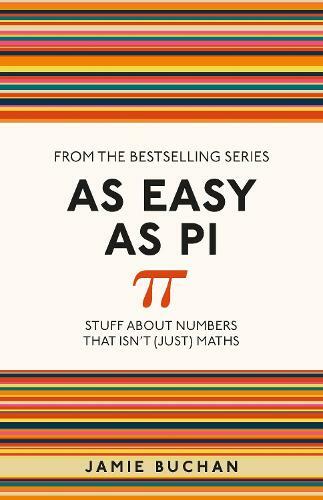 As Easy As Pi is an entertaining and accessible guide, written for those who love numbers - and those who don't - and uncovers a great deal of lore and intriguing information. Including: Snippets of fascinating numerical facts Myths and mysticism in the world of numbers Numbers in language and used as slang Pop culture trivia Useful mathematical rules to remember Taking a quirky and insightful look at the world of numbers, As Easy As Pi will delight and entertain any number enthusiast.